Which Cruise Liner Is The Best For You? So, you’re going on a cruise holiday? 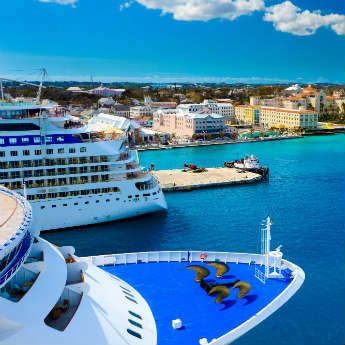 It’s definitely an exciting adventure but, if you’re new to cruising or you just fancy a change from your usual cruise liner, where do you start when deciding what company to cruise with? Well today, we’re breaking down the differences between each company so that you can choose which one is best for you. How do you fancy dining with Mickey and Minnie, hanging out on Disney’s own private island of Castaway Cay and enjoying evening entertainment that features live action mixed in with classic Disney hits? Well, if you’ve got a young family or you’re just a big kid at heart, one of the Disney cruises might be just for you. Okay, it’s not like Norwegian’s ships are a massive rave but if you like to have a bit of fun in the evening, this might just be the cruise line for you. On board entertainment is at its finest on Norwegian’s 16 ships with Latin dance acts and Broadway shows, like Rock of Ages, bringing the party to the evenings on your cruise. There are also 22 bars where you’ll find cocktails and drinks to suit any mood. Dance the night away under the stars at Spice H2O or enjoy a cocktail or two at Sugarcane Mojito Bar. 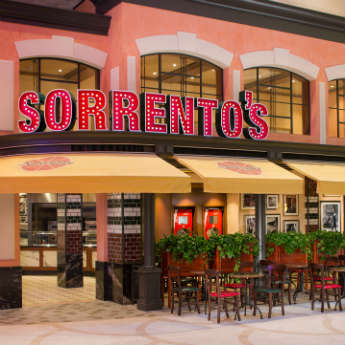 For some good food, classy restaurants serve up the best steaks and the freestyle dining option allows you to pick and choose when and where you want to eat which is a perfect if you're a family wanting to dine to your own timetable. Solo travellers will also find Norwegians ships cater perfectly for those wanting to cruise it alone. Prices are often heavily discounted for those on a mini adventure of their own and, if you do want to socialise with other solo travellers, some cruises offer bar crawls and have plenty of options to meet other solo travellers. If you’re looking for a touch of elegance on your next cruise, you’ll certainly find it in abundance on an Oceania Cruise. Enjoy afternoon tea while listening to music from a string quartet, develop your creative skills in the Artist Loft where you can create your very own masterpiece, drink a Martini while watching the ocean go by or have a dabble on the tables in the Casino Bar. 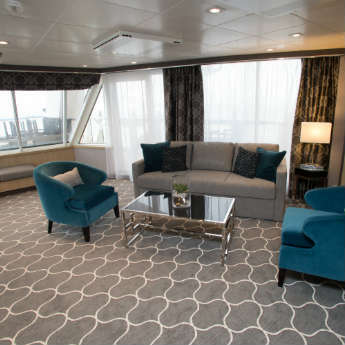 The elegant theme carries through the décor of the ships where you’ll find the Staterooms, Suites and restaurants all decked out with exquisite, yet contemporary, interiors. Being on an Oceania Cruise is definitely a classy affair and you’ll feel spoilt from the moment you step on board. Royal Caribbean pride themselves on being one of the most innovative cruise liners around and they definitely don’t disappoint. Harmony of The Seas boasts the Ultimate Abyss – a 10 storey high slide which is the tallest at sea – and showcasies Broadway shows like Grease, Freedom of the Seas has whirlpools that face out over the ocean and Anthem of the Seas has the imaginative cuisine of Wonderland, the totally cool Bionic Bar – there’s no people serving you drinks here, just robots - and North Star, a 360 degree viewing platform set high about the ship. If it’s novelty, excitement and great destinations you’re after, Royal Caribbean provide that kind of experience in abundance. If you want a more homely, personal feel to your cruise experience, then a Fred Olsen cruise will be just for you. There’s nothing super flashy about Fred’s ships but that doesn’t mean they don’t have their own appeal. For one, the food is some of the best in the cruising world, they also focus on making the little touches count rather than spending money on flashy technology and learning is a key part of Fred Olsen cruises with lectures and extensive libraries on board. It’s definitely a more relaxed pace of life on a Fred Olsen cruise with daily activities ranging from lounging in the jacuzzi, playing bingo or enjoying a coffee and luxury selection of chocolates in the Bookmark Café. Which cruise liner is the best for you? Do you have any other recommendations? We'd love to hear which ship and liner is you favourite!